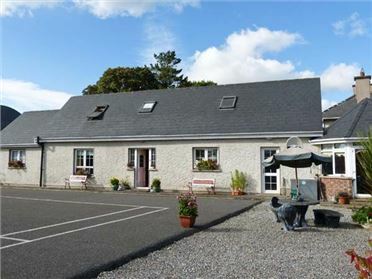 Kilbrown House is a detached cottage near to the coastal village of Goleen in County Cork. 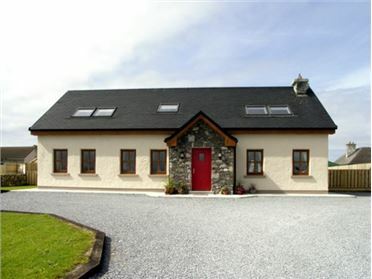 The cottage sleeps eight people and has three double bedrooms (two with ensuites), one twin and a family bathroom. 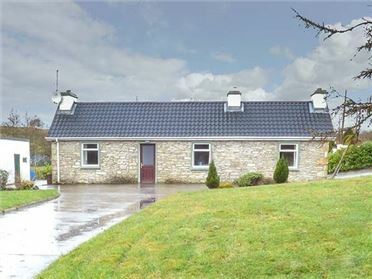 Also in the cottage is a fitted kitchen with a dining area and a sitting room with an open fire. Outside is off road parking for four cars and a lawned garden with a patio. 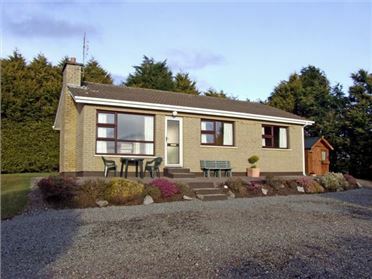 Close to the coast, Kilbrown House is a superb holiday home for a family vacation in beautiful Ireland. Four bedrooms: 1 x ground floor double with en-suite shower, basin and WC, 2 x double (one with en-suite shower, basin and WC), 1 x twin. Bathroom with bath, shower over, basin and WC. Ground floor basin and WC. Fitted kitchen with dining area (seats 6). Utility. Sitting room (seats 5) with open fire. Oil central heating with open fire. Electric oven and hob, microwave, fridge/freezer, washing machine, dishwasher, TV with Free-to-air channels, DVD. Fuel, power and starter pack for open fire inc. in rent. Bed linen and towels inc. in rent. Cot, highchair and stairgate available. Off road parking for 4 cars. Enclosed lawned garden with patio. One well-behaved pet welcome. Sorry, no smoking. Shop and pub 1.5 miles.